While musicologists and other scholars have published many general overviews of music history, Performing Music History presents something new: It is a history of music told in the first person by those most intimate with performance history and practice—the musicians. Professor Lawrence Kramer, Distinguished Professor of English and Music at Fordham University, puts it succinctly in his Introduction: “History comes from those responsible for bringing the music to life. 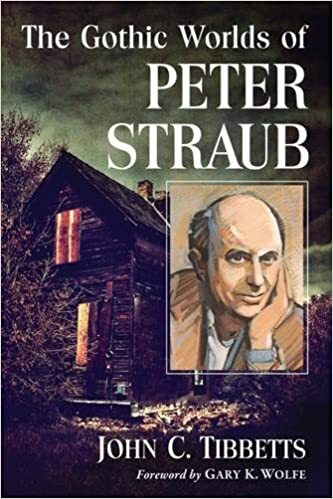 THE GOTHIC WORLDS OF PETER STRAUB presents the first serious study linking Peter Straub to the evolving contexts of the Gothic Tale, including the fairy-tale tradition of the Brothers Grimm, the ghostly shivers of Nathaniel Hawthorne and Henry James, the Weird monstrosities of H.P. Lovecraft, to today’s postmodernist trends in transgressive body horror. In addition to close looks at the celebrated novels, like Ghost Story and The Talisman (co-written with Stephen King), and the challenging short stories in Houses without Doors and Interior Darkness, Tibbetts examines for the first time Straub’s archives, working papers and correspondence. Peter Weir: Interviews is the first volume of interviews to be published on the esteemed Australian director. Although Weir (b. 1944) has acquired a reputation of being guarded about his life and work, these interviews by archivists, journalists, historians, and colleagues reveal him to be a most amiable and forthcoming subject. He talks about "the precious desperation of the art, the madness, the willingness to experiment" in all his films; the adaptation process from novel to film, when he tells a scriptwriter, "I'm going to eat your script; it's going to be part of my blood! "; and his self-assessment as "merely a jester, with cap and bells, going from court to court." He is encouraged, even provoked to tell his own story, from his childhood in a Sydney suburb in the 1950s, to his apprenticeship in the Australian television industry in the 1960s, his preparations to shoot his first features in the early 1970s, his international celebrity in Australia and Hollywood. An extensive new interview details his current plans for a new film. Interviews discuss Weir's diverse and impressive range of work--his earlier films Picnic at Hanging Rock, The Last Wave, Gallipoli, and The Year of Living Dangerously, as well as Academy Award-nominated Witness, Dead Poets Society, Green Card, The Truman Show, and Master and Commander. This book confirms that the trajectory of Weir's life and work parallels and embodies Australia's own quest to define and express a historical and cultural identity. Douglas Fairbanks and the American Century brings to life the most popular movie star of his day, the personification of the Golden Age of Hollywood. At his peak, in the teens and twenties, the swashbuckling adventurer embodied the new American Century of speed, opportunity, and aggressive optimism. The essays and interviews in this volume bring fresh perspectives to his life and work, including analyses of films never before examined. Also published here for the first time in English is a first-hand production account of the making of Fairbanks's last silent film, The Iron Mask. Fairbanks (1883-1939) was the most vivid and strenuous exponent of the American Century, whose dominant mode after 1900 was the mass marketing of a burgeoning democratic optimism, at home and abroad. During those first decades of the twentieth century, his satiric comedy adventures shadow-boxed with the illusions of class and custom. His characters managed to combine the American Easterner's experience and pretension and the Westerner's promise and expansion. As the masculine personification of the Old World aristocrat and the New World self-made man--tied to tradition yet emancipated from history--he constructed a uniquely American aristocrat striding into a new age and sensibility. This is the most complete account yet written of the film career of Douglas Fairbanks, one of the first great stars of the silent American cinema and one of the original United Artists (comprising Fairbanks, Mary Pickford, Charles Chaplin, and D. W. Griffith). John C. Tibbetts and James M. Welsh's text is especially rich in its coverage of the early years of the star's career from 1915 to 1920 and covers in detail several films previously considered lost. "John C. Tibbetts brings a fan’s enthusiasm and a scholar’s acumen to the dozens of interviews of professionals in horror, fantasy, science film, art, and comics that make up this engrossing study of the Gothic and its commingling of “terror and wonder.” Corralling the contents into nine loosely organized chapters (“The Heroic Age of Fantasy and Science Fiction,” “The Music of Terror,” etc. ), he presents his Q&As like private conversations recorded in rooms full of experts. Some chapters are fairly straightforward, among them “The Lovecraft Circle,” which presents the words of Robert Bloch, Ramsey Campbell, Ted Klein, and other writers influenced by the horror tales of H.P. Lovecraft. His chapter “Postmodern Gothic,” on the other hand, juxtaposes the insights of horror masters Stephen King and Peter Straub, to those of science fiction master Brian Aldiss and true-crime specialist Harold Schechter for a fascinating reflection on the modern evolution of the Gothic tradition. Entertaining and informative, this book proves that smart questions invariably elicit smart responses from masters of the fantastic in the arts." "I am glad to know that this endeavor of more than thirty years has taken final form. Schumann was a great composer and a writer of important and engaging music criticism. I congratulate John Tibbetts on his perseverance and success in gathering together this distinguished company of contributors." "American Classic Screen was a magazine designed for those of us fed up with "fanzines" and, at the opposite extreme, the impenetrable jargon of academics. It dealt with film history as though it had only just happened. Enthusiasm was its watchword. . . "
Volume II in the series from Scarecrow Press, Inc., of articles appearing in American Classic Screen Magazine (1976-1985), "Features" from Hollywood's Golden Age, edited by John C. Tibbetts. 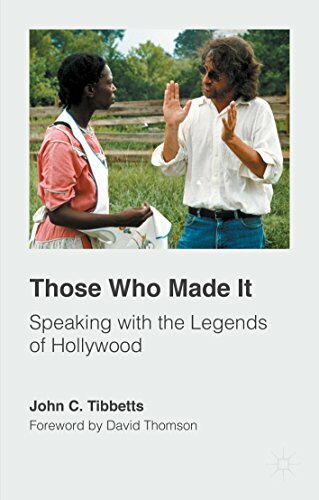 "This collection of essays from American Classic Screen brings into relief how the films of the past enriched the motion picture medium because they have stood the test of time. These esays will live on for years to come now in book form." Gene D. Phillips (author of Stanley Kubrick: Interviews) Volume III in the series from Scarecrow Press, Inc. of articles from American Classic Screen Magazine (1976-1985), "Profiles", edited by John C. Tibbetts. "Today we are trying very hard to rebuild bridges, to open larger conversations, and to join forces with fans and industry alike as we explore the new directions being taken within media culture. As I look back on the history of our discipline, I value all the more the small pockets like American Classic Screen where real conversations about cinema were taking place between the many diverse groups who care about the movies."